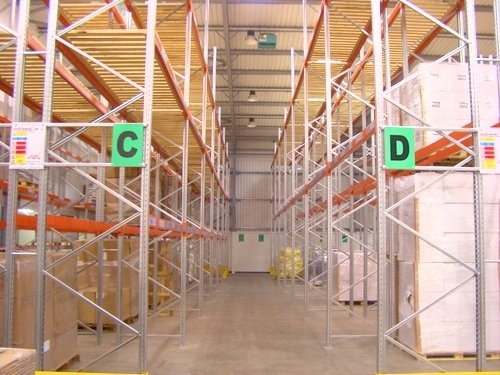 Dexion Adjustable Pallet Racking (APR) is one of the most common forms of pallet racking. It is the most versatile form of pallet racking, can accommodate any type of pallet and is designed to be picked up for movement by any counterbalance or reach truck. 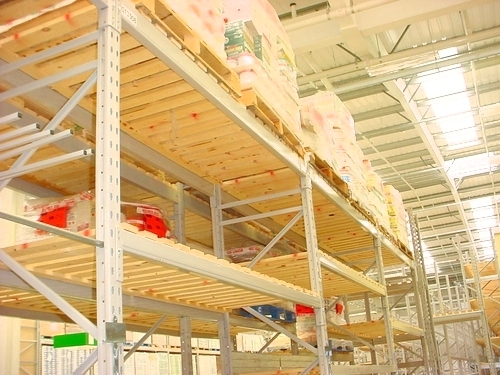 The different selection of beam designs means that APR pallet racking can accommodate a variety of pallet weights and loads. The typical bay profile of APR is comprised of 2.7m wide beams to accommodate two No 1200mm x 1000mm pallets or 3 No Euro Pallets 1200mm x 800mm. The frames are either 900mm deep or 1100mm depending on pallet types. 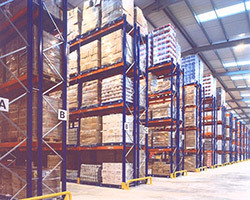 These can be stored up to 7.5m high, depending on the height of pallets, typically being between two and four beam levels. If you use pallets that are non-standard or you have drums, reels of cable, rolls of carpets or other non-standard loads, APR can be designed to suit, with a full range of accessories to satisfy all requirements. 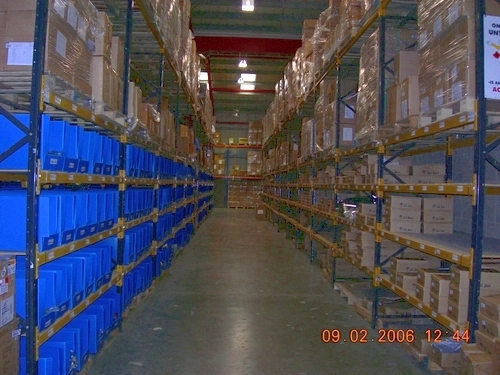 Hampshire Mezzanine Floors is a Dexion Storage Centre. We work in partnership with Dexion, the largest and most popular racking manufacturer in the world. 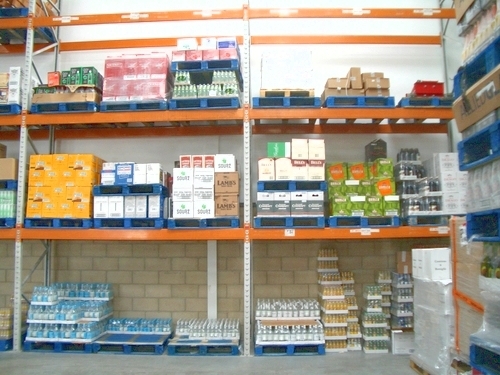 We provide cost-effective pallet racking solutions for all types of business. 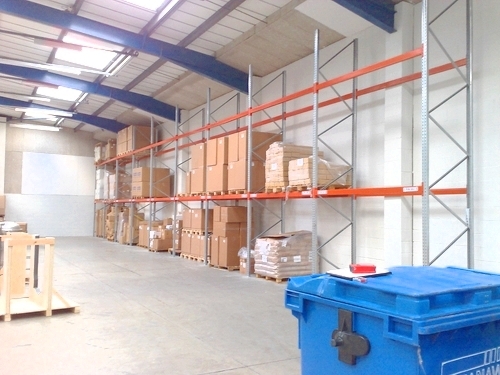 Hampshire Mezzanine Floors stock Dexion Mark III and P90 Pallet Racking. 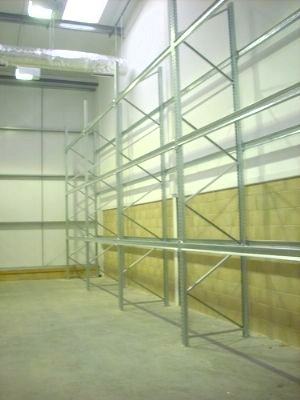 Our Dexion Qualified Installation teams can install a full racking installation, often within days. 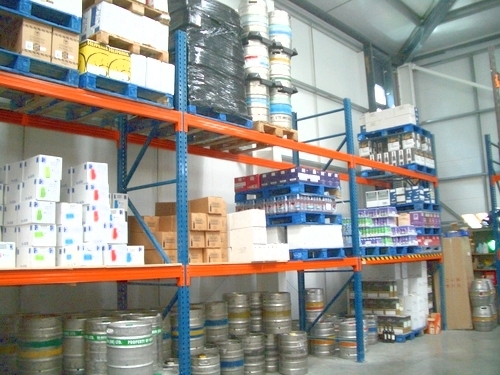 Hampshire Mezzanine Floors also carry out rack safety surveys as well as rack repairs to all brands of racking. We can advise on health and safety requirements such as barriers, anti-collapse mesh and correct load notice requirements. 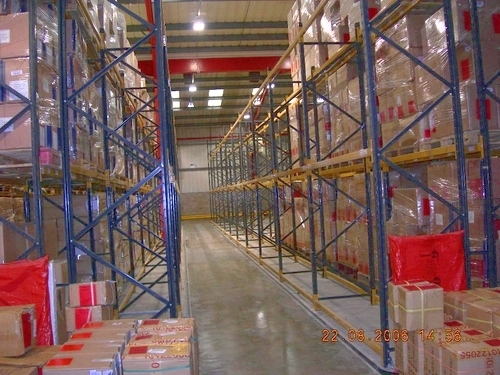 For further information on Adjustable Pallet Racking, please contact us.